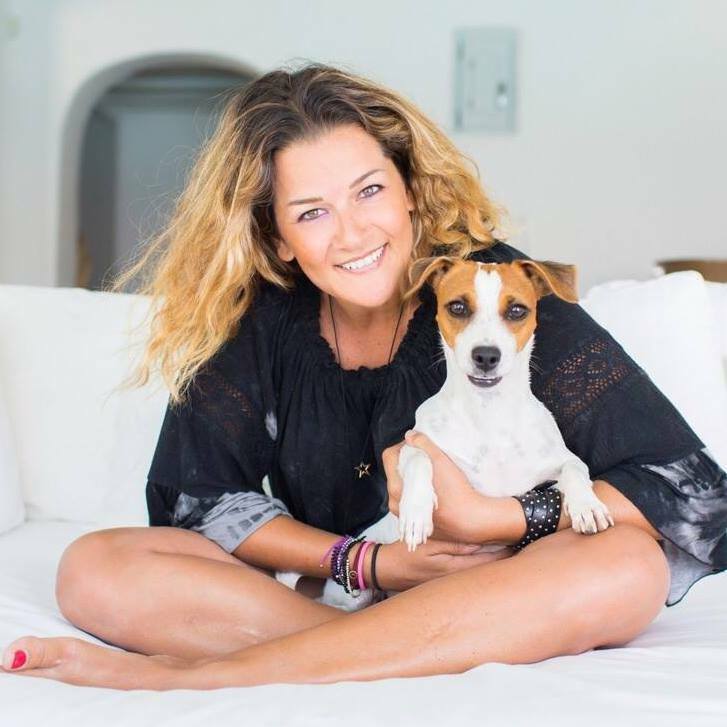 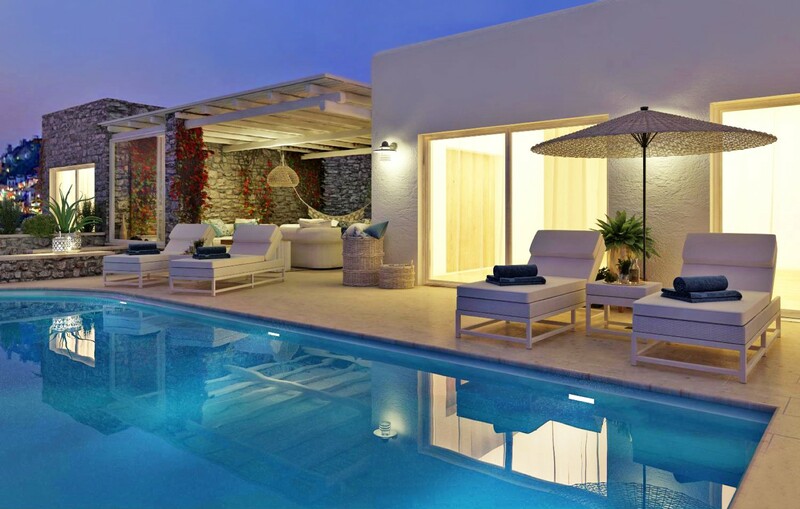 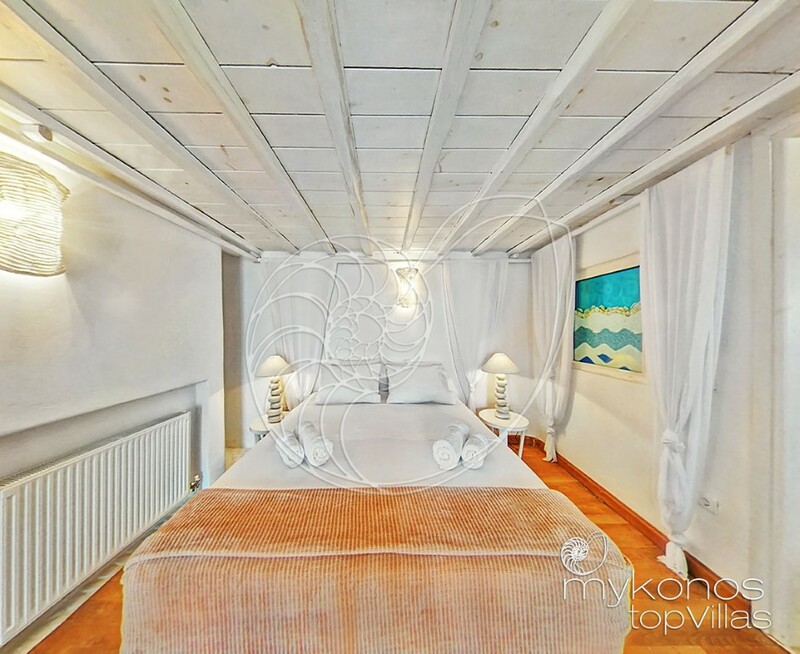 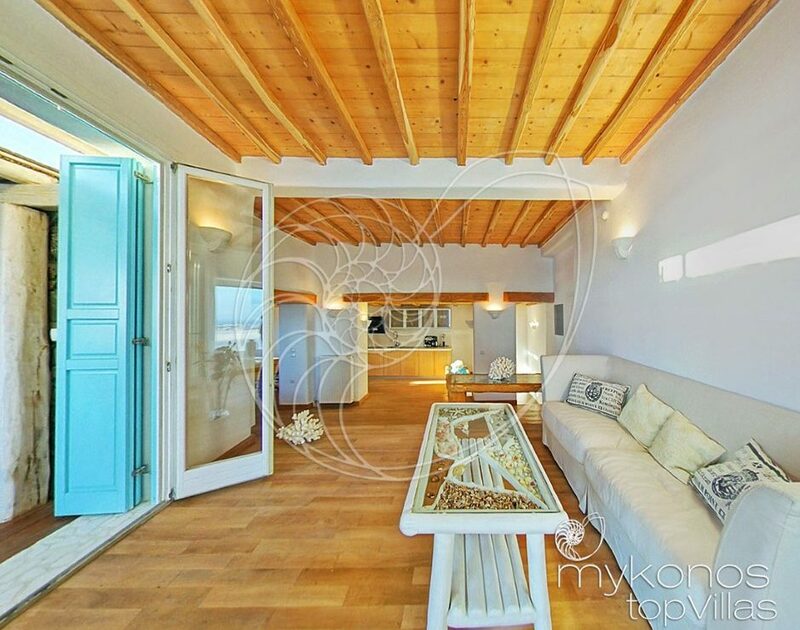 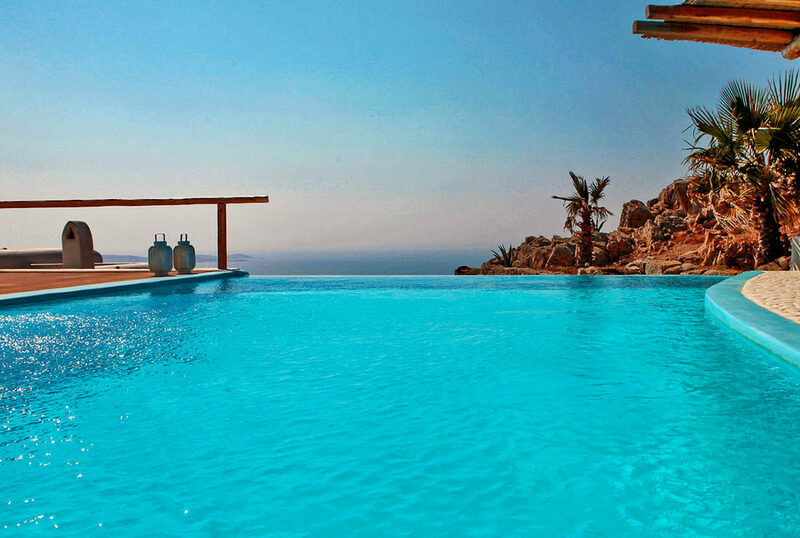 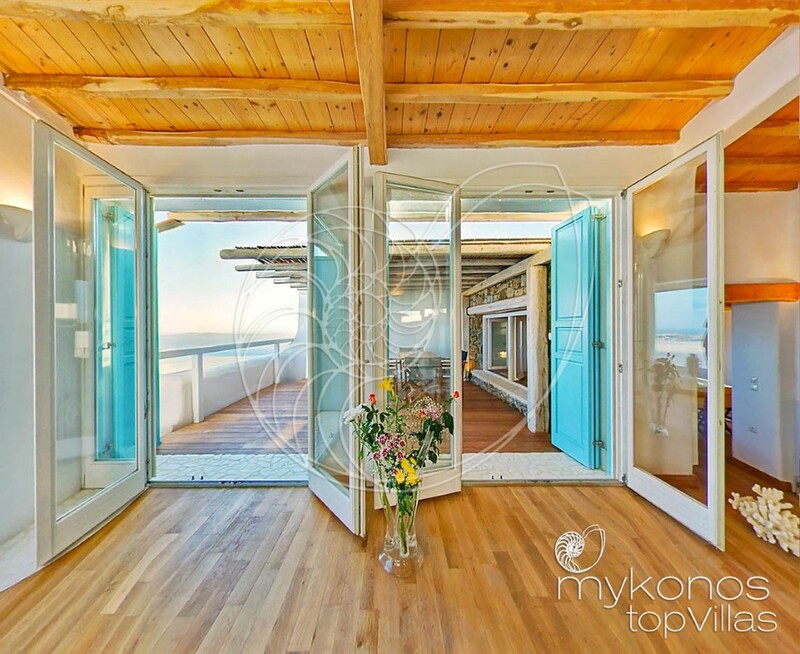 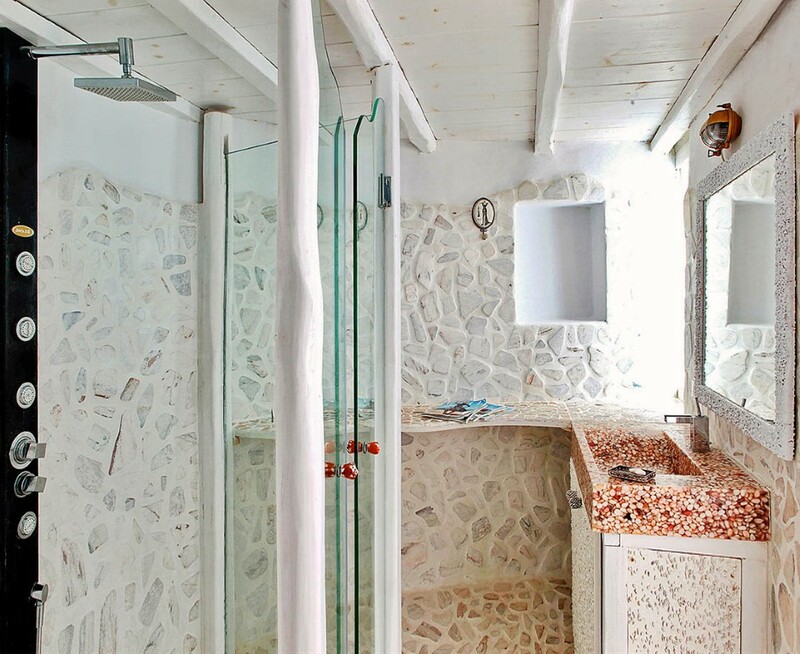 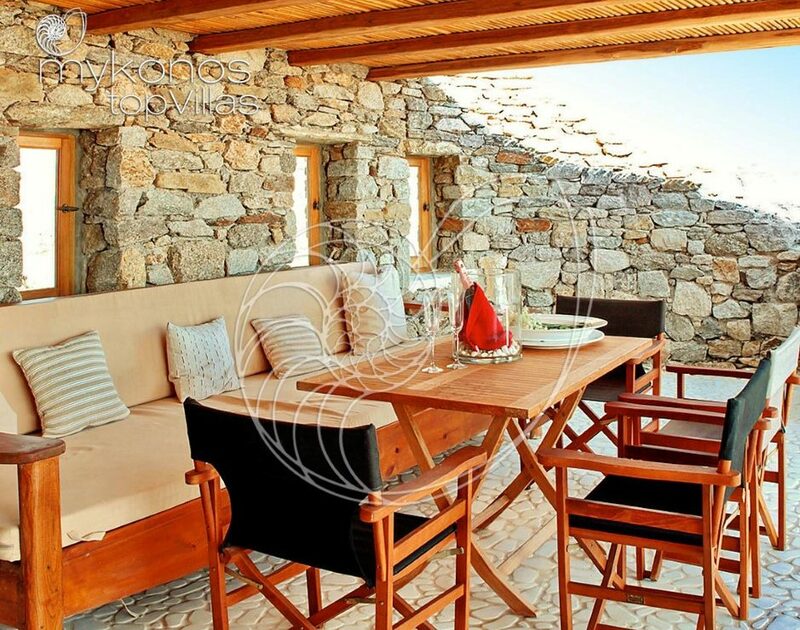 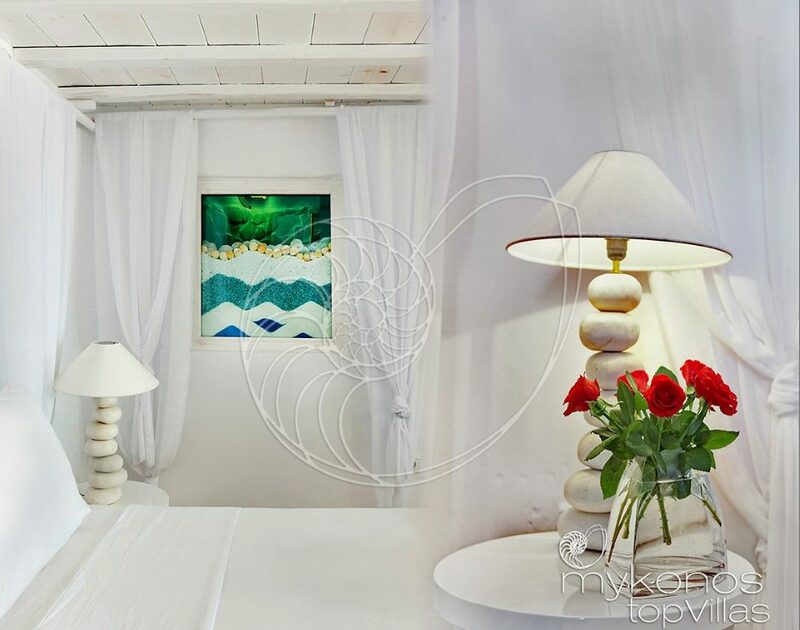 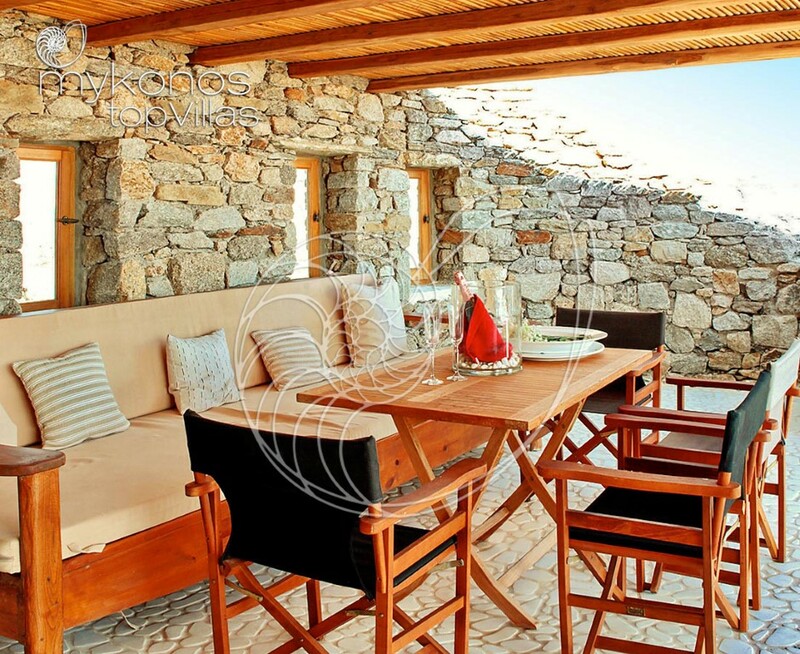 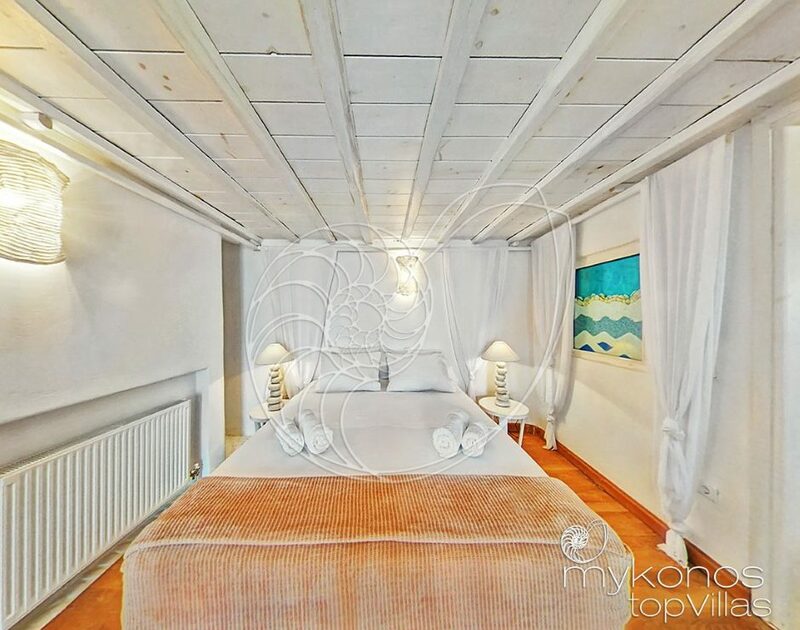 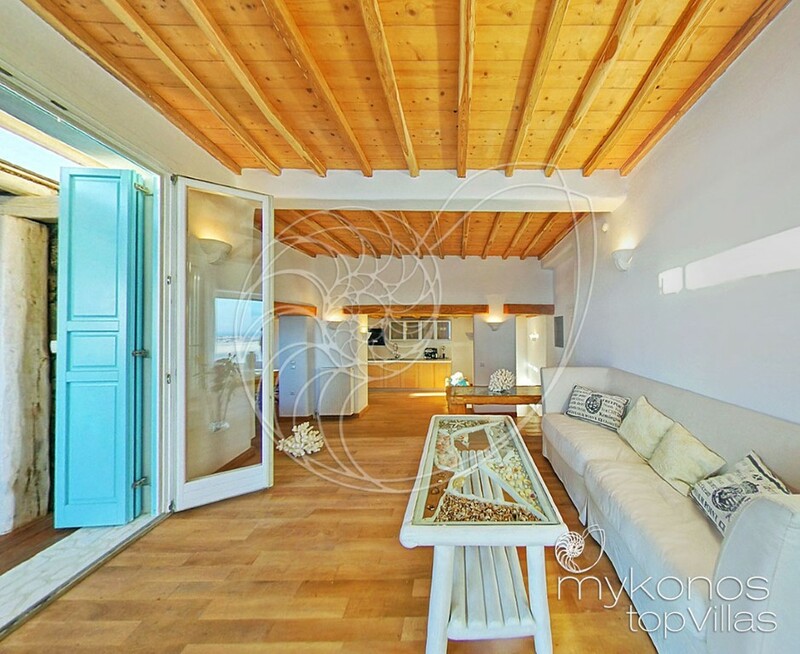 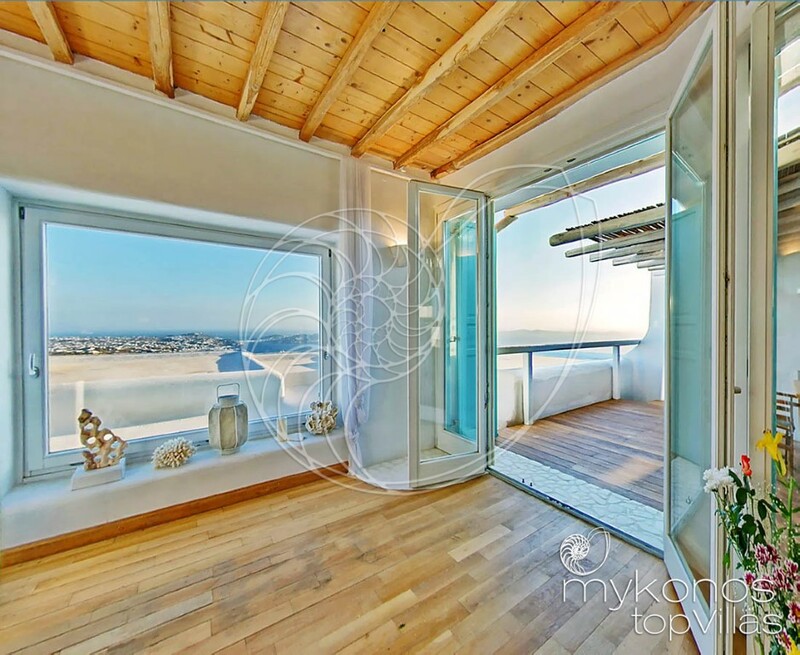 Villa Marpesia is located next to the ancient castle of Mykonos, which is a five minute drive from the island’s town and five minutes from the nearest beach. 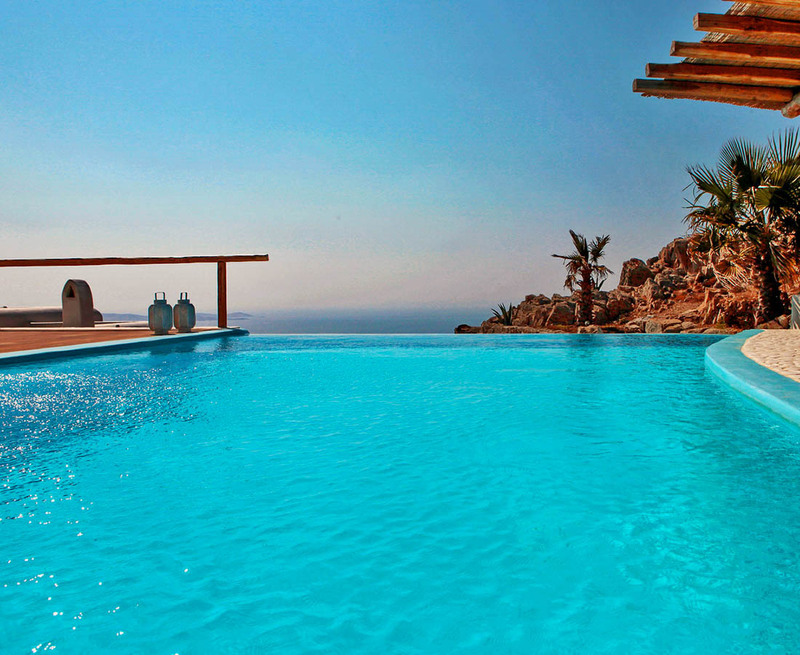 This is the highest part of the island, giving each villa a breathtaking panoramic view of the sunset, sunrise, and the ocean. 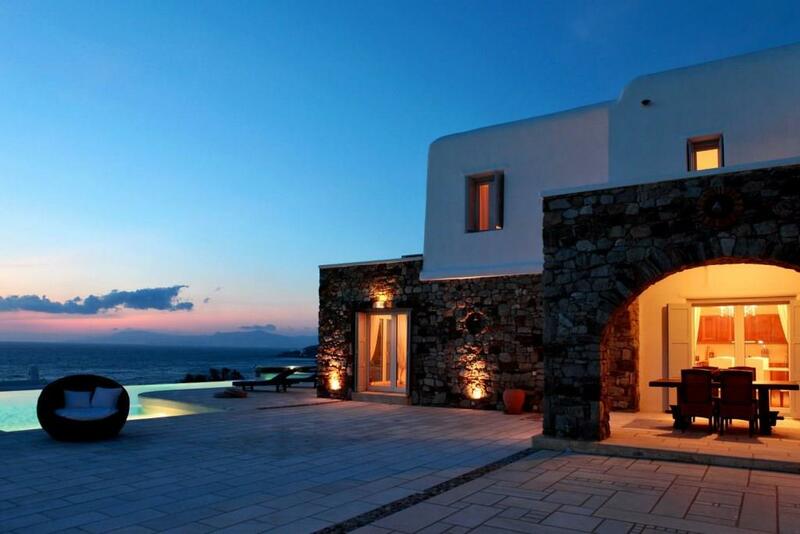 During the evenings you can also enjoy the magical view of the lighted town of Mykonos. 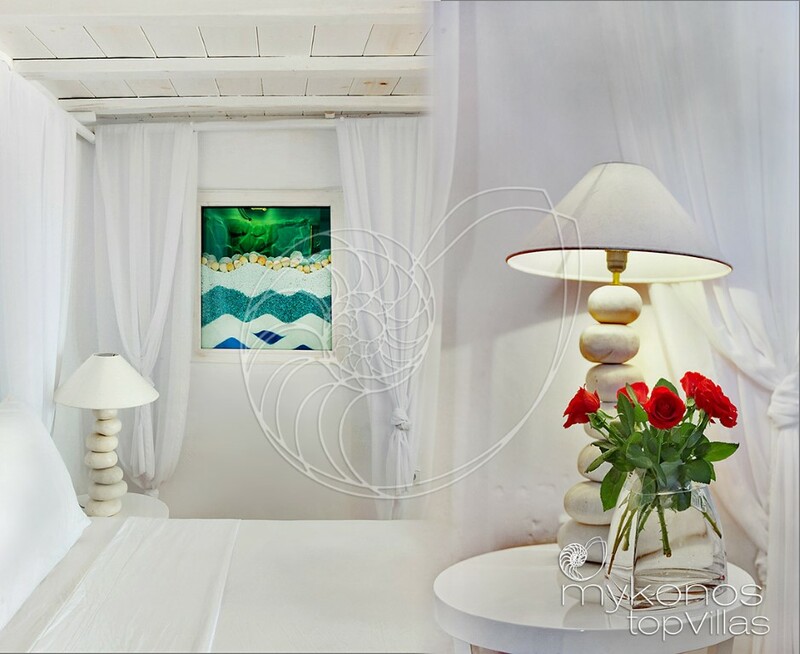 Surrounded by palm trees and flower decorated gardens, you can relax and enjoy the best the island has to offer. 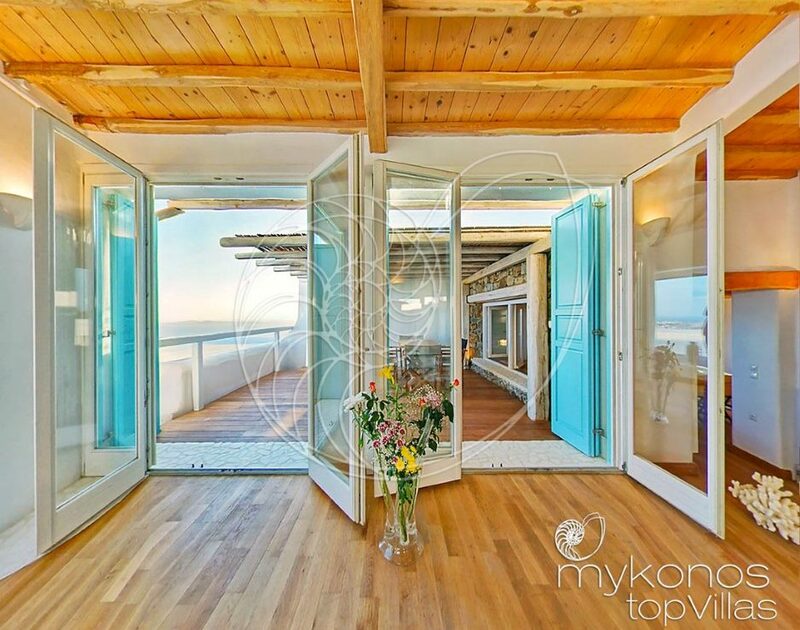 Villa Marpesia could be rent also for honeymoon trip; the upper floor is a separate suite 60 sm, with private swimming pool and amazing sea and sunset views.